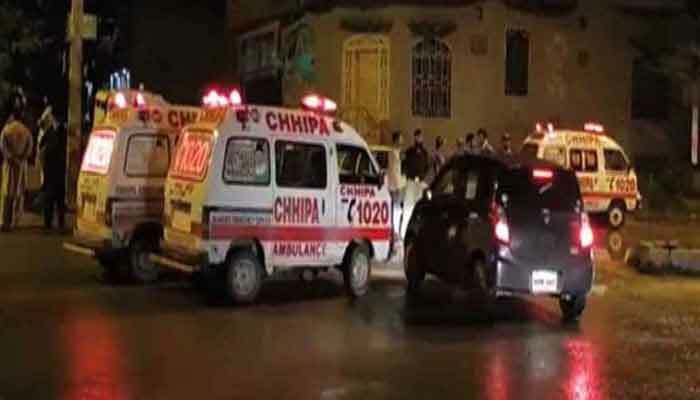 PESHAWAR: One policeman embraced martyrdom and three others sustained injuries in an operation conducted by security forces against terrorists in Hayatabad area of the provincial capital on Monday night. Talking to media, Information Minister for Khyber-Pakhtunkhwa (KP) Shaukat Yousafzai said that the security forces carried out an intelligence based operation in hayatabad against the terrorists, who were involved in attacks on judge and the additional inspector-general (IG) of police. One law enforcer embraced martyrdom and three others sustained injuries, the minister added that at least one terrorist was also killed during the overnight operation, which is still underway. He said that the security personnel were strategically moving coping with the situation to apprehend the terrorists. The ground floor of the house, where the exchange of fire between terrorists and security personnel broke out, was cleared but there was further information about terrorists' presence in the basement. He added that there was persistent gunfire from the terrorists inside.